The Sea Dogs edged Bowie in a tight game on Sunday, literally walking off when Deiner Lopez drew a walk with the bases loaded in the bottom of the tenth. The Sea Dogs got home runs from three sources with Mike Olt, Jeremy Barfield, and Josh Tobias going yard. Catcher Jordan Procyshen went 3 for 5 with a double and a run scored. Henry Owens allowed three runs in five innings of work, striking out seven and walking six. The Salem bats impressed on Sunday afternoon, scoring ten runs on twelve hits. They were led by first baseman Conrad Gregor, who went 2 for 3 with a double, two walks, three runs, and two RBI. Chris Madera went 2 for 5 and recorded a triple and walk from the top of the lineup. Starting pitcher Logan Boyd was lights out, throwing six scoreless innings with four strikeouts. Pat Goetze tossed two scoreless frames in relief, fanning three and allowing a hit. 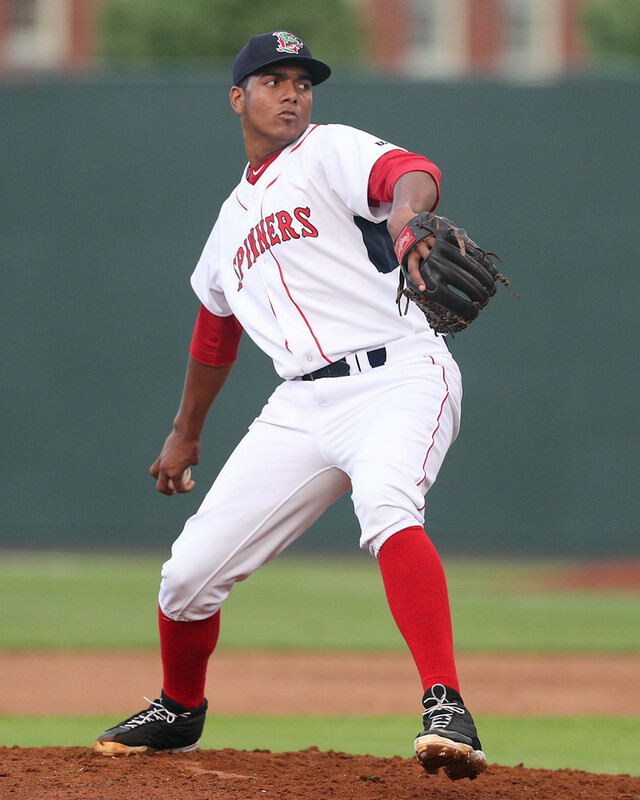 The Drive lost a pitching duel on Sunday despite a fine performance from Darwinzon Hernandez. The 16th-ranked prospect threw five innings, allowing two runs (one earned) on three hits and two walks, striking out five. Algenis Martinez was excellent in relief, tossing three shutout innings and striking out three. Shortstop Santiago Espinal had the lineup's standout performance, going 3 for 4 with a double. First-rounder Tanner Houck threw three innings on Sunday, allowing two runs (one earned) on four hits while striking out three. Denyi Reyes was dominant in a piggyback role, throwing six scoreless innings on five hits while striking out nine. Shortstop Frankie Rios went 2 for 4 with a triple, a run, and an RBI. Yoan Aybar raised his line to .266/.282/.411 with a 2-for-4 game. Player of the Day: Though he was pitching in relief, Denyi Reyes stole the show from Houck in Lowell. Reyes entered the game in the fourth and pitched the rest of the game, going six shutout innings with five hits, no walks, and nine strikeouts. Reyes has pitched out of the bullpen 11 times in Lowell this season and owns a 1.83 ERA with 32 strikeouts and six walks in 39 1/3 innings.